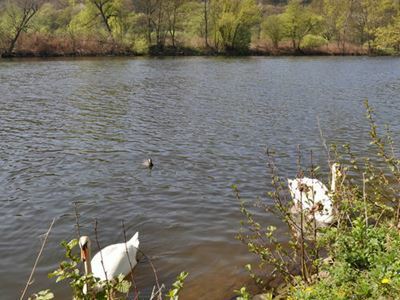 Verdant nature and close proximity to the Ruhr river make our hotel special from the very start. Our spacious rooms, a swimming pool with sauna, sophisticated cuisine, miniature golf and skittle alleys, as well as bike and canoe rentals (on request) guarantee a relaxing and restorative stay in the southern Ruhr region. Take in picturesque views of the Ruhr river. Our restaurant, with its winter and bamboo garden, offers a rich selection of regional dishes and specialties. Enjoy timeless summer moments on our terrace or in our beer garden. Dortmund, once a major industrial hub, has developed into a popular congress location that also has much to offer by way of culture, soccer and shopping. 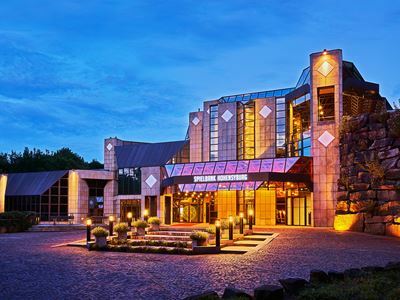 Our hotel is just a five-minutes walk from the trade fair and congress centre, as well as the stadium Signal Iduna Park – Germany’s largest soccer stadium. Modern ambience in a historical surrounding: Located in the centre of the historical significant city of Unna our hotel is close to all shopping. We are conveniently located close to the trainstation and major streets. Therefore, exploring the Ruhrvalley as well as the nearby Sauerland region and Soester Boerde is easily made by train or car.